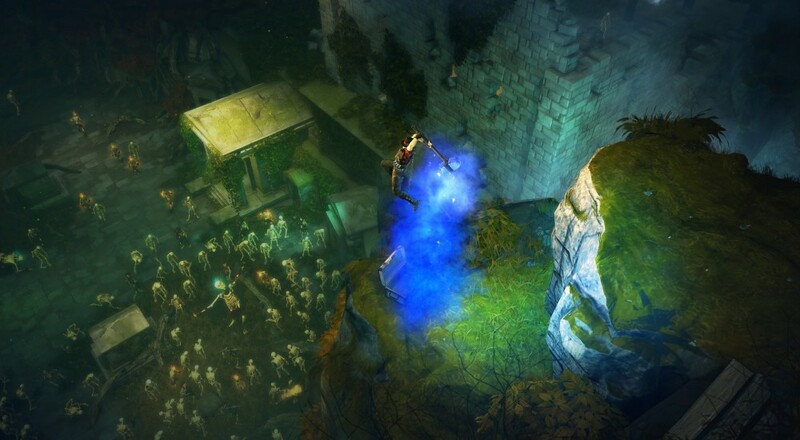 Replayability is the key with Victor Vran, and developer Haemimont Games has made sure there's always something fresh and unique to experience in this action-centric game. Tons of weapons, outfits, special powers and destiny cards allow you to choose how you're going to experience the game, and randomly generated items complement the hand-crafted ones to make loot drops exciting each and every time. You'll fight plenty of foes, explore dungeons and all that jazz, but while doing it, you'll dodge and jump around attacks like some sort of crazy acrobat, something most RPGs don't bother experimenting with. This dynamic action opens up new attacks as well, allowing you to dive down on enemies and take on hordes of monsters with all-new fighting tactics. Free content expansions are already in the works, including three huge pieces of DLC that add new weapons, new maps, and new daily challenges. Most interesting for our totally non-biased cooperative agenda is the upcoming addition of local co-op for two players, a great compliment to the already stunning four player online co-op mode. What can we say, Victor Vran was made for multiplayer.